Balance Pods Set Of 6 Just $26.40! Down From $43! PLUS FREE Shipping! You are here: Home / Great Deals / Amazon Deals / Balance Pods Set Of 6 Just $26.40! Down From $43! PLUS FREE Shipping! Amazon is currently offering this Balance Pods Set Of 6 for just $26.40 down from $42.98 PLUS FREE shipping! 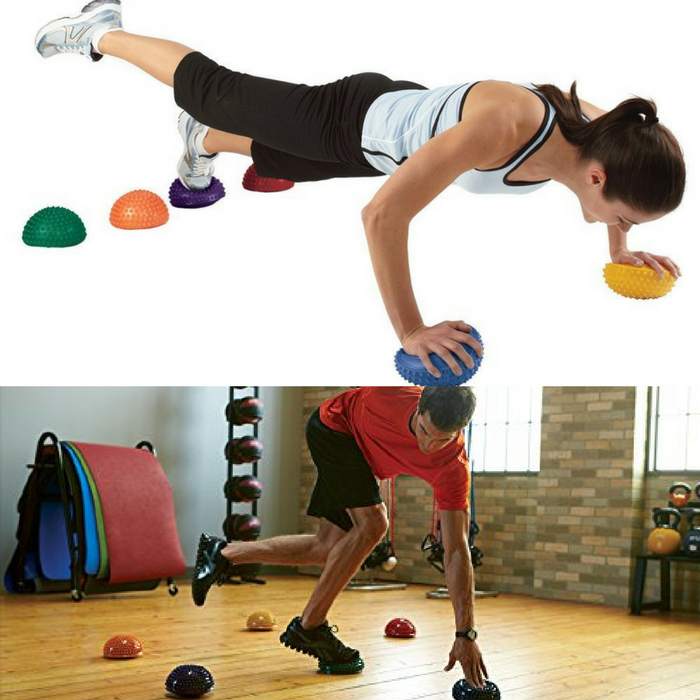 Improve your dynamic balance, body awareness and coordination with these Balance Pods. You can arrange the pods with flat side down for more stabilization or flat side up for a balance challenge, giving you varied levels of difficulty. Available only as a set of 6 pods in assorted colors.